Whether your company is cornering a niche marketplace or a Fortune 500 food company of major consumer brands, Create‐A‐Pack Foods delivers the food manufacturing and food processing solutions you need. We take pride in the range of services, offering our customers a vast array of food specialty needs. As we partner together with you towards continuous improvement, we work to ensure your highest level of satisfaction for your continued success. Create-A-Pack Foods offers custom formulation and food production services that are certified to the highest standards including SQF Level III Certified, USDA Certified, HACCP Certified, GFSI Certified, Kosher Certified, Organic Certified and licensed by the state of Wisconsin as a Low Acid/Acidified Processing Facility. We are a make to order custom contract food manufacturing company that provides fresh, quality products made to your specifications. Contact us to discuss your food processing project. We have experienced food scientists and a full team of R&D experts on staff to help formulate your product to the highest standards. Create-A-Pack Foods has top notch equipment and facilities for all your food manufacturing needs. 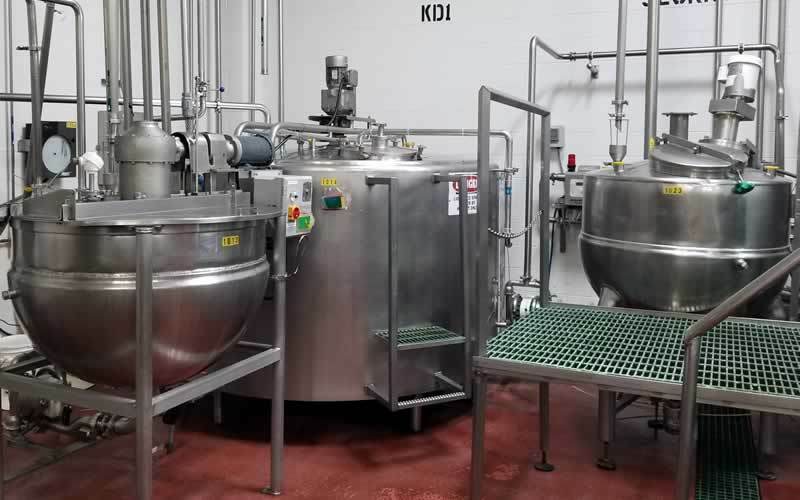 We have food processing facilities for liquid food, dry food and an independent plant for nut products.